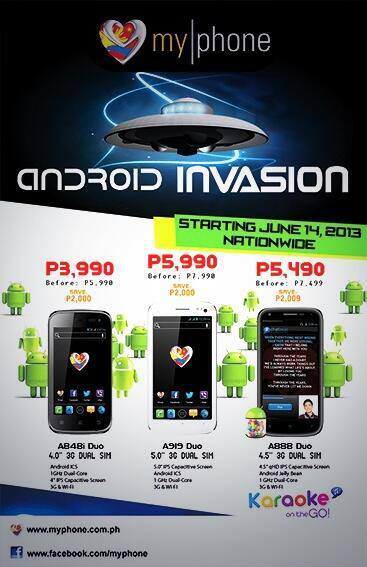 MyPhone one of the leading local brands in the Philippines are having a promo this June 14, 2013 to its selected Android mobile phones, and guess what! You can SAVE almost Php2,000 on every purchase this promo is available nationwide in different authorized stores such as Official Myphone stores, kiosk, and dealers nationwide. This mobile phones are MyPhone A848i Duo, MyPhone A919 Duo and MyPhone A888 Duo.